Firestone & Robertson Distilling Co’s highlighted their new TX Whiskey at a Whiskey Dinner on Wed. Dec. 14th hosted by Ringo’s Pub. They served a whiskey cocktail to go with each dish of the 3-course meal prepared by Chef Patrick Stark. 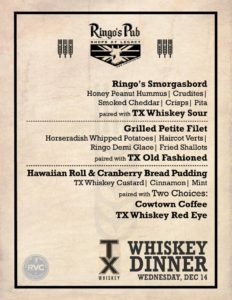 The dinner was held to launch a couple of new menu items at Ringo’s Pub as well as introduce the launch of the new TX Whiskey. 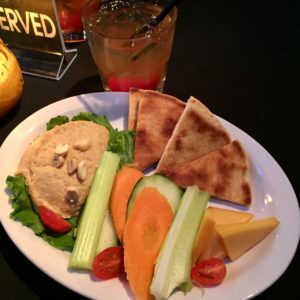 To kick off, we enjoyed a Whiskey Sour with the new Ringo’s Smorgasbord: Honey Peanut Hummus, smoked cheddar, pita wedges and veggie crudites (Celery, Carrots and Cucumbers). In my opinion, the best pairing was the carrots in the hummus. There was something satisfying about the honey peanut flavor with the sweetness of the carrots together. 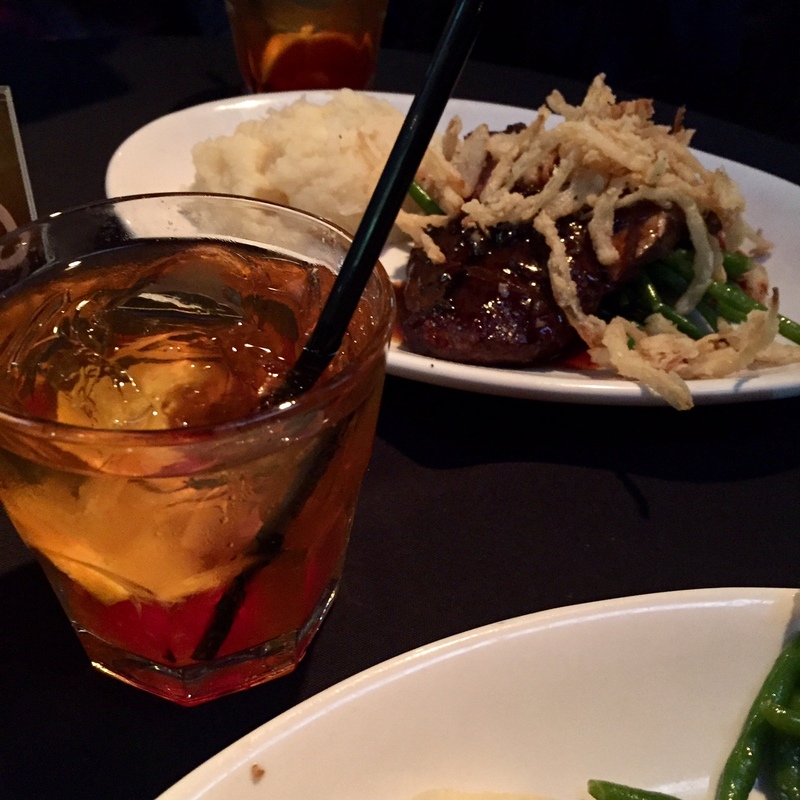 A TX Old Fashioned went perfectly with the main entree grilled petite filet with a demi glace topped with fried shallots, horseradish whipped potatoes and fresh green beans. We were surprised at how tasty the horseradish potatoes were. It was a new thing for us and we enjoyed it! A perfect comfort meal for a cold winter night! 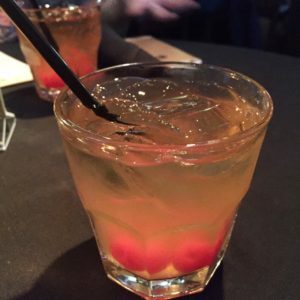 You can’t go wrong with a strong Old Fashioned and a tasty tender steak. 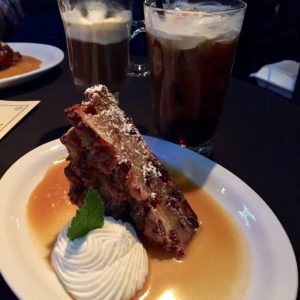 The Hawaiian Roll and Cranberry Bread pudding as dessert included a choice of Cowtown iced coffee or a warm TX Whiskey Red Eye. Both were tasty and topped with whipped cream goodness! Everything mentioned except the dessert (boo) is now available on the regular menu. Try out one of the new items and let us know what you think!